Mr. Khattar comes from a family of entrepreneurs. He is an alumnus of the esteemed St. Stephens College, Delhi from where he graduated with honors in the field of Arts. He holds a degree in law from distinguished University of Delhi. The drive to give something to the people led Mr. Jagdish Khattar to join the Indian Administrative Service in 1965. 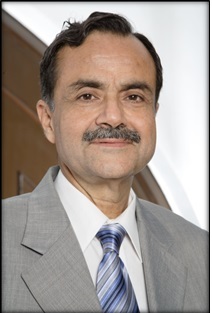 Some of his key career assignments during his service to the Indian Administration include holding the chair of Tea Board of India and the Chairman of UP State Cement Corporation. After 28 years in the Indian administration he joined Maruti Udyog Limited in 1993. He served as the MD and CEO of the organization between 1999-2007. During this stint Mr. Khattar successfully steered Maruti when the domestic players were facing augmented competition caused by the foray of various foreign automobile players into the Indian market. Post Maruti Suzuki, he has turned an entrepreneur and in 2008, Mr. Khattar launched his venture - Carnation Auto, with a vision of developing a multi-brand automobile sales and service network. Currently he is the Chairman and Managing Director of the Company. Mr. Jagdish Khattar has been distinguished on various fronts for his remarkable achievements and impact on the Society. He was recognized as entrepreneur of the year by Ernst and Young in 2003 and CEO of the year by National HRD Network in 2006 among other notable accomplishments. Always striving to give back to the people, the philanthropic streak in his nature is visible in the diverse activities he participates for the industry and economy as a whole. In 2013, his book “Driven – Memories of a Civil Servant Turned Entrepreneur” was released nationwide. He continues to nurture and lead and is an indispensable member of various boards including HDFC ERGO General Insurance Company Ltd.; Hindalco Industries Ltd.; Utkal Alumina International Limited and many more. He still remains the same passionate and charismatic person at this age and continues to make strides for a better society.